When a person thinks of pizza, there are three major ingredients that come to mind - dough, cheese and tomatoes tomatoes. The dough is responsible for a crispy finish, the tomatoes for the traditional red sauce and the cheese for holding everything together. But pizzerias can come up with products that are much more creative than this original form. Since some customers are allergic to tomatoes, why not come up with a pizza that eliminates sauce altogether? This idea is already in wide circulation with a recipe for an item called white pizza. This variety removes tomatoes from the equation and replaces them with circles of ricotta cheese. If a chef is adventurous, he can use a blend of cheeses instead of the traditional mozzarella layer. Customers will love the new option, and it is simply an added bonus to hungry patrons who may be allergic to certain foods. Restaurant equipment like the Adcraft PO-22 Pizza Oven can be used to thoroughly cook these innovative meals. 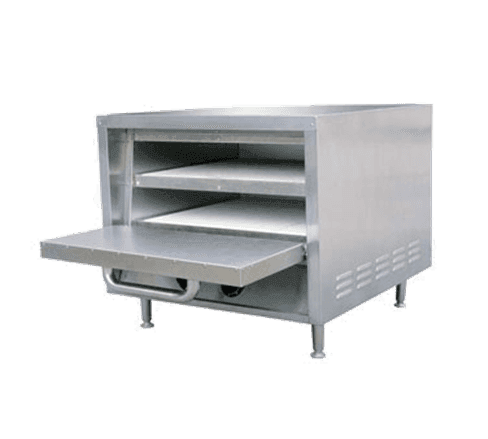 The compact design of the machinery enables it to fit easily on a counter top or back shelf, and can produce a full range of heat despite its small size.